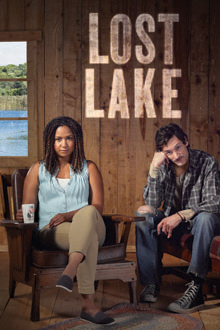 Not much happens in Lost Lake, but you do get a chance to peek into the lives of two troubled people who come together one summer at a lakeside cabin that is in as bad shape as they are. You also get a chance to watch incredibly good acting. A nurse from the city rents a cabin on a lake for her summer vacation with her children from a down-on-his-luck owner. She saw photos online and in the spring goes to see the cabin in person. The cabin is in dire need of repair, as is the dock on the lake. The owner promises that everything will be fixed and he will be moved out when she arrives in August. But upon her arrival, nothing has been done – in fact, now there’s no phone and no hot water. This has the makings of a vacation from hell. Yet there’s something that each of these people needs from the other and their individual histories are revealed as the layers of the proverbial onion are slowly pulled away. Discounts: Theatermania $49 (http://www.theatermania.com/off-broadway/discount-tickets/lost-lake_303997/). May also find tickets for free through papering services.